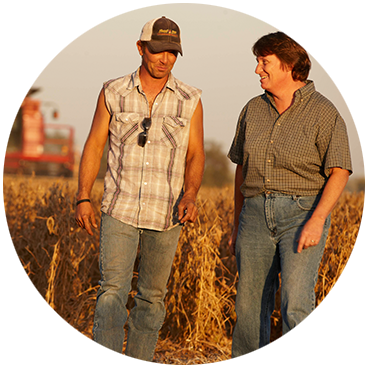 Current and potential agricultural input and service customers face critical business decisions every day. They expect more from their preferred suppliers than ever before. Beck Ag’s data-driven sales and marketing strategies leverage the power of Beck Ag’s AG IQ® data and the capabilities of Market Research (AG INSIGHT®), Market Instruction, and Market Influence to effectively and efficiently target the right customers influencing their behavior change and delivering measurable results. Beck Ag showcases five primary capabilities utilize individually or in tandem as they work to connect, learn and grow their business: Strategic Planning/Consulting, Market Intelligence, Market Insight and Research, Market Instruction and Education, and Market Influence. Beck Ag can facilitate a C-suite strategy design through scenario planning, organizational planning, market-level planning and product launch. Beck Ag’s customer intelligence solutions can assist clients turn data into knowledge. This knowledge helps clients know their customers and their needs better. This information can be used to drive immediate “return-on-investment” (ROI) by delivering stronger, and more positive, intelligence-driven sales results. Beck Ag KNOWS agriculture. Our practical knowledge enables us to appropriately and effectively design, collect, analyze and communicate findings, conclusions and recommendations. We utilize proprietary market intelligence to connect and create dialogue with the appropriate audience segment. Beck Ag’s database has been constructed, honed and refined through over one million conversations conducted the past 20+ years. Beck Ag offers complete state-of-the-art learning and development capabilities. We can provide learner assessments; micro-learning pods; instructor-led in-person training, e-learning sessions (virtual); social network utilization coaching; learning through game playing or “gamification;” and, performance improvement and behavioral change. To better understand the profound competitive advantage of Beck Ag’s go-to-market strategies, take a look at these examples of past client successes. A client’s product was approved for a new use. The next challenge was to identify any barriers to adoption, understand how the new use would be perceived—and get potential users excited about it. Beck Ag took the research process off of the client’s hands, facilitating conversations with more than 1,200 potential buyers and connecting them with product experts. We also helped our client update their marketing database and identify strong advocates who would be invited to help conduct later Experience-Sharing Marketing events, where they shared why they purchased the client’s product and how they had utilized it. Companies wanting to stand out in crowded markets need to find very strong—maybe even surprising—differentiators. Beck Ag helped one client uncover a specific customer challenge, and then created a peer-learning academy to address this challenge and provide customers the knowledge they needed. The customers learned skills that they could apply on the job immediately… and our client solidified relationships with their customers. Beck Ag’s client anticipated that tough new competition would change the way they did business. But they needed to know what exactly should change in order to keep their on-farm storage business sustainable. Our AgTeleExperts talked with more than a thousand growers one-on-one to uncover crucial insights. The conversations in this project focused on the buyer’s perceptions and behaviors related to market share, storage capacity, decision influences and purchase intentions. Beck Ag has enhanced the process of experience sharing with versatile, sophisticated, measurable programs you can use to go beyond traditional sales and marketing tactics and truly engage with your customers.